advocate for peace around the world. from the atrocities of apartheid. 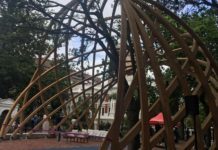 Nobel Prize winner Archbishop Desmond Tutu will soon visit the Solomon Islands to help set up a Truth and Reconciliation Commission. The Solomon Islands form part of a group just off Australia (Fiji and Papua New Guinea are the more famous of these islands), which make up Melanesia. 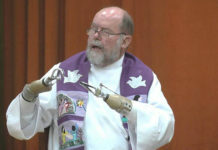 The retired archbishop will help the Solomon Islands government set up the commission after years of ethnic tensions which have divided the country. The prime minister of Solomon Islands, Derek Sikua, invited Tutu to share his expertise and help the Islanders to reconcile with each other. 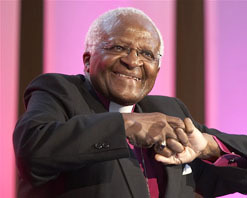 Tutu’s personal assistant, Dan Vaughan, has confirmed that the peace campaigner has accepted the invitation: “The archbishop plans to visit the Solomon Islands on 29 and 30 April at the invitation of the prime minister.” The Nobel laureate had planned to visit the Solomon Islands last year but had to reschedule. 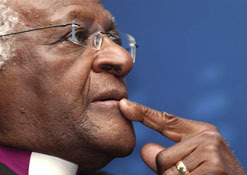 Tutu played an instrumental role in South Africa’s Truth and Reconciliation Commission in the late 1990s. He is widely considered an authority on a number of issues including poverty and HIV/Aids in developing countries. The political history of the Solomon Islands can be described as complex at best. The geographic and linguistic fragmentation of the various islands creates particular strains within the Islands’ political system. There are currently 50 members of parliamentary constituencies – 47 from electorates in the 10 provinces of the country, and three from the capital Honiara – the Honiara Town Council. Defections from one party to another by members have in the past weakened the political system, leaving long periods of political instability. In 1997, a coalition government was formed under the Solomon Islands Alliance for Change, and headed by the new Prime Minister, Bartholomew Ulufa’alu. Twenty-two parliamentary incumbents who had failed in their bid for re-election to Parliament formed their own faction groups. By late 1998, political conditions in the country had deteriorated badly and armed ethnic factions began fighting what amounted to a civil war. A group calling itself the Isatabu Freedom Movement sought to displace the ethnic Malaitans from the main island of Guadalcanal, a province of the Solomon Islands. Although the Malaitans were not natives of Guadalcanal, they had economic and political clout. In 1999, Isatabu started a campaign of ethnic cleansing, displacing thousands of Malaitans and killing several of the natives. In response, the Malaitans formed their own paramilitary force, the Malaita Eagles Force (MEF). In May 2000, the MEF kidnapped the prime minister and held him for two days at gunpoint, demanding the government do something to resist the Isatabu militia. Since the government had no official military force, very little could be done to intervene in the fight between the Isatabu and the Malaitans. At the height of the fighting, New Zealand and Australia rushed to evacuate their nationals living on the islands. The commonwealth also sent a delegation to try and re-establish peace. A month later, in June, the MEF ousted the Solomon Islands government. Ulufa’alu was forced to resign and an interim government was established, headed by Monassah Sogavare. In October that year a peace accord, entitled the Townsville Peace Agreement, was signed. It called for an end to all the violence, the relinquishing of arms and for new elections to be held in 2001. The People’s Alliance Party (PAP), headed by Allan Kemakeza, won those elections. After a few years of quiet, tensions fled up again at least twice, despite Australian-led regional assistance to the Solomon Islands deployed in 2003 in response to years of ethnic tension. The Islands are now hoping that Tutu will help to bring a lasting solution to their crisis. 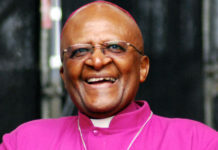 Archbishop Desmond Tutu was the chairperson of South Africa’s Truth and Reconciliation Commission, which began in 1996 and continued for several years. Perpetrators and victims of apartheid gathered in different parts of the country to testify to the atrocities that took place during the regime. A number of commissioners presided over cases, as the victims recalled their personal experiences and perpetrators admitted to their actions and asked for amnesty from prosecution. The job of the TRC was to investigate violations that took place between 1960 and 1994 and to provide support and reparation to victims and their families. Some of the perpetrators who came forward to testify were given amnesty. The work of the TRC was divided into three main committees. 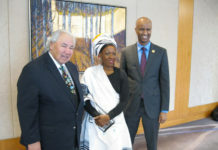 There was the Amnesty Committee, the Reparation and Rehabilitation Committee and the Human Rights Violations Committee. On 21 March 2003 the final TRC report was released and is freely available to the public. 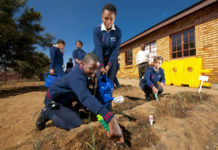 What are you doing to commemorate International Mandela Day?